The 29th of November is the International Day for Women Human Rights Defenders. This day is dedicated to celebrating and honouring brave women human rights defenders across the world that stand up for their rights, and the rights of others. 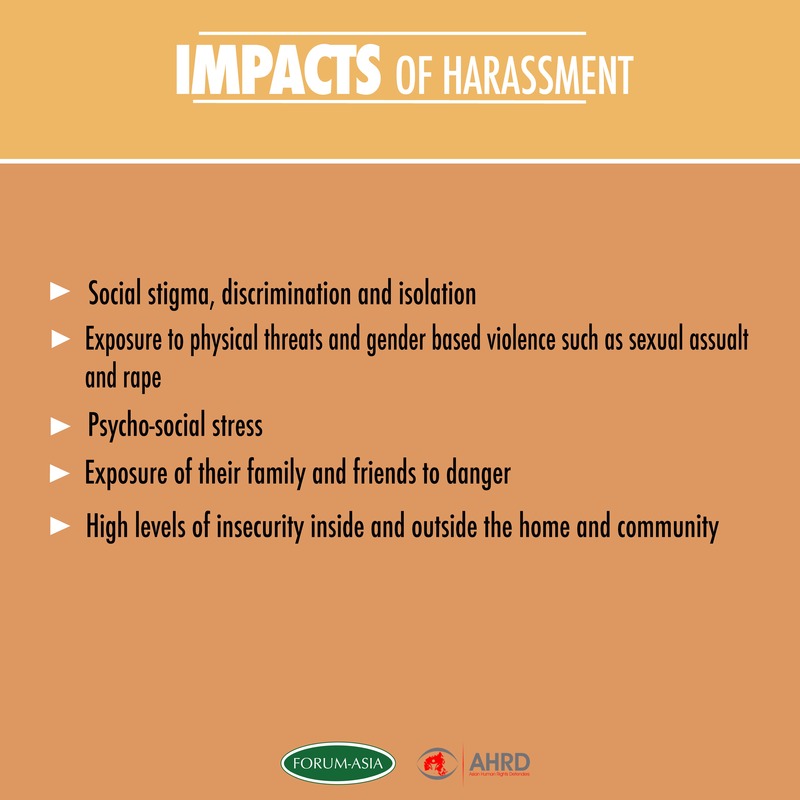 Many do this at the cost of being harassed, threatened or attacked, online or offline, at times at the cost of their life or liberty. 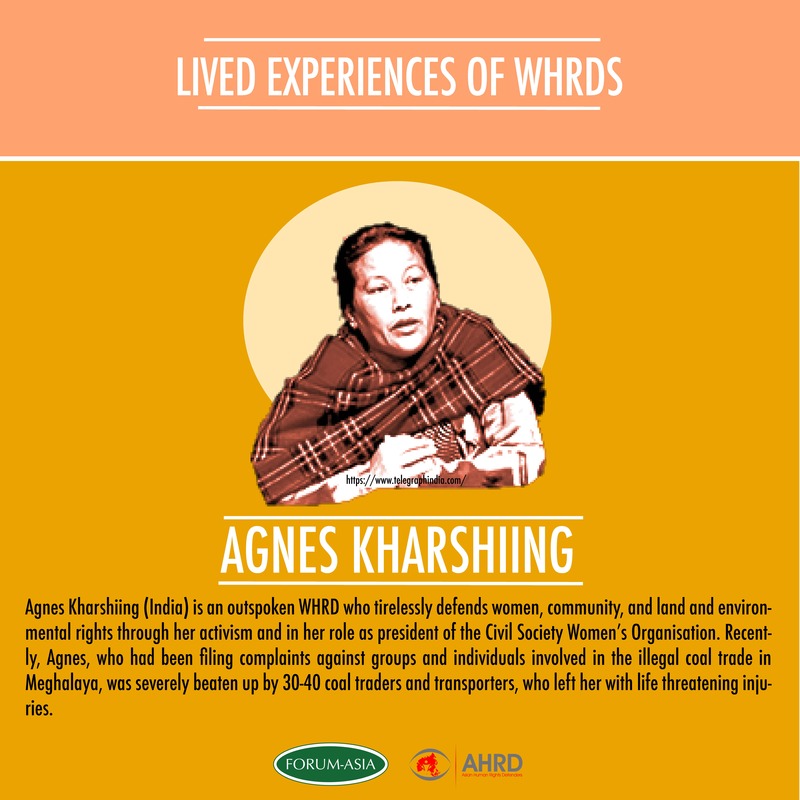 To mark the day, FORUM-ASIA has created visual materials to celebrate and express our immense gratitude to all women human rights defenders advancing human rights across Asia and beyond. 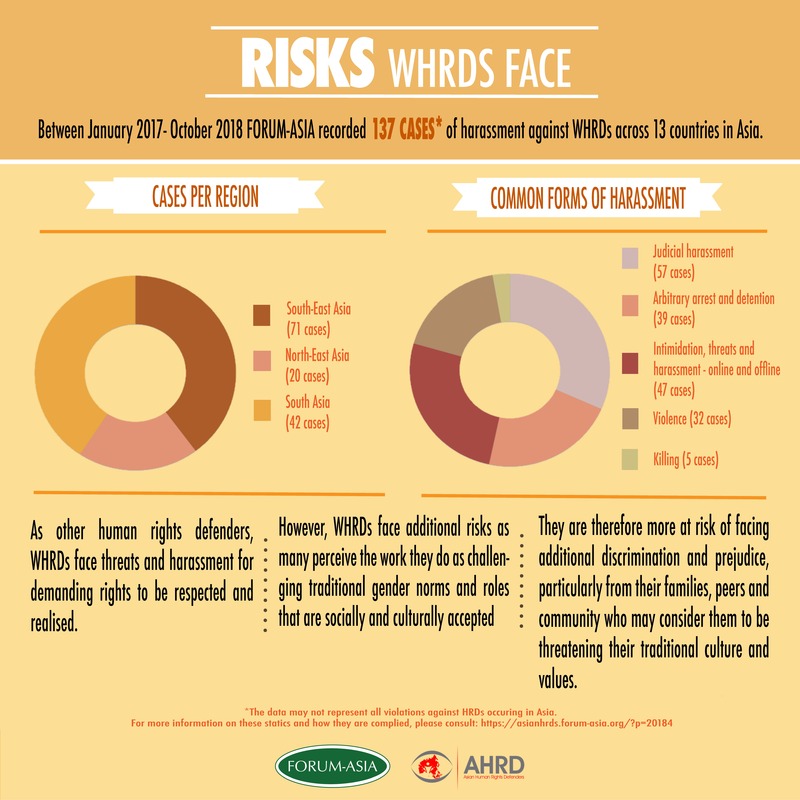 In these posters, we seek to shed light on: who women human rights defenders are; what they do; the risks they face; and what can be done to ensure their protection. Additionally, we are highlighting the story of three women human rights defenders – Pornpen Khongkachonkiet from Thailand; Agnes Kharshing from India; and Jennifer Lu from Taiwan – to illustrate the harassment and challenges that they and many others face. We encourage you to download, share and use the posters to help raise awareness about the International Day of Women Human Rights Defenders, and to educate others about the crucial work of women human rights defenders everywhere. 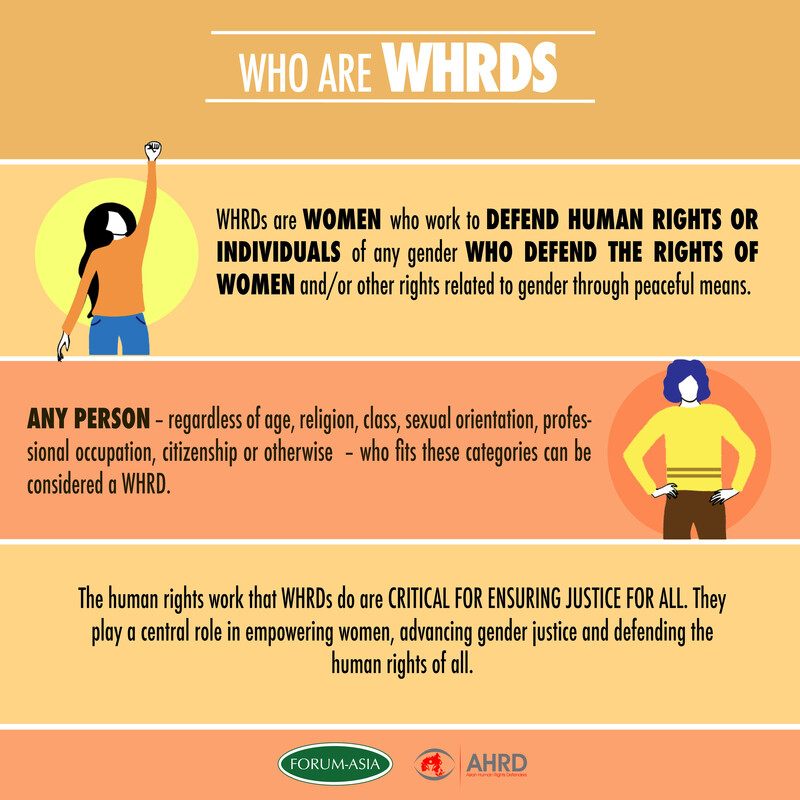 – Who are women human rights defenders? 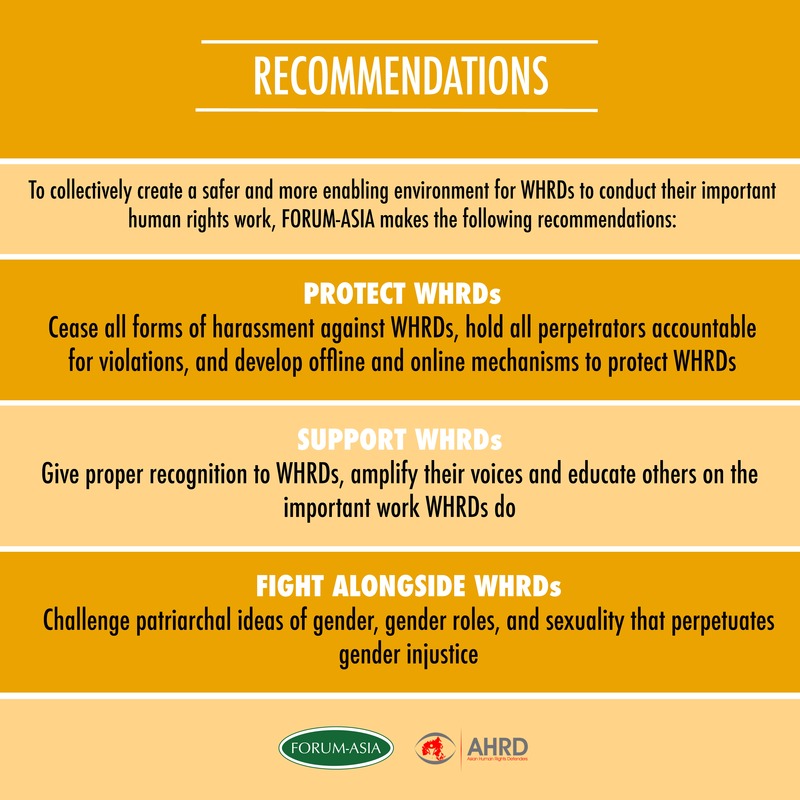 – Recommendations to support women human rights defenders.